Find competitive quotes on outdoor advertising in Jacksonville! 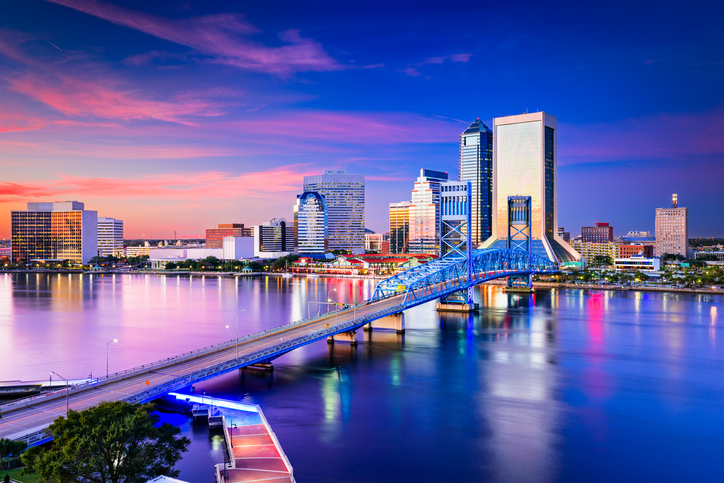 Jacksonville is the most populous city in Florida, making it the perfect place for billboard advertising. The pleasant beaches and warm weather create an amazing canvas for outdoor advertising, including street furniture advertisements, cinema advertisements, and more. The main roads in Jacksonville are Beach Blvd, San Jose Blvd, Atlantic Blvd, and Philips Highway, all of which are great for transit advertising. The city is also home to the Jacksonville Skyway and the Florida Theater. Select one of the ad formats below to learn more. Or begin planning your next campaign in Jacksonville using BillboardsIn’s comprehensive database.